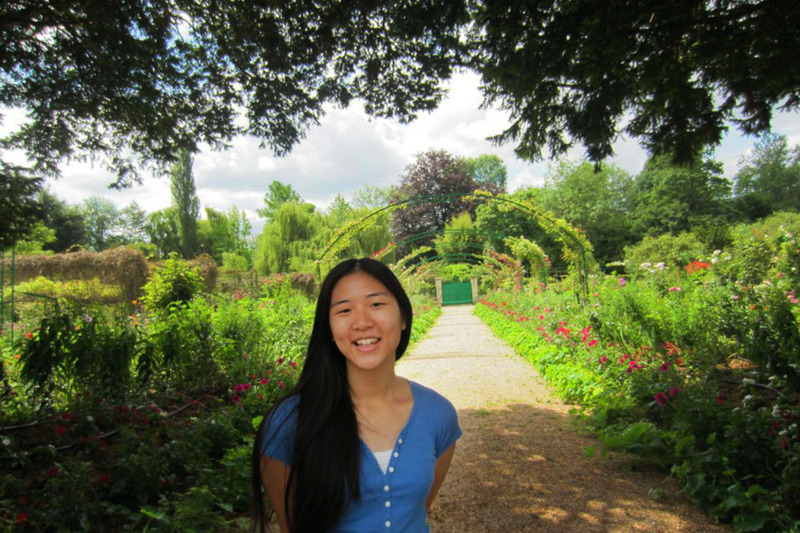 While most left behind the cubby holes, sticky desks and blackboards of elementary school as soon as the greener pastures of middle school beckoned, Courtney Widjaja, a third-year BIOL major and French minor, did just the opposite. While at Tech, she founded a club to reach out to local public schools to instruct and instill a passion in students for STEM research and careers. Technique: What do you hope to do after Tech? Widjaja: Short-term I plan on attending medical school (wish me luck! ), but in the long run I’ve always played with the idea of joining Médecins sans Frontières (Doctors without Borders). Technique: What inspired you to start the Society for BioDiversity? Widjaja: I can’t take all of the credit—it was initially an idea sponsored by faculty in the School of Biology. I attended the first meeting they hosted and saw a club with untapped potential- there’s so much that can be done from a uniquely student perspective in supporting student involvement in STEM fields. Focusing on STEM engagement is something that’s been touched on by other student organizations, but it was never their chief purpose. In the same way, it’s an aspect addressed by many faculty/staff-driven groups, but never by a fully student-led organization. Technique: What is the main goal if your club? Widjaja: In short, we seek to share our passion for STEM (Science, Technology, Engineering and Mathematics) with our peers and younger students. We do this by encouraging career discovery and current events discussion in STEM fields, as well as through our outreach programs to local Atlanta public schools. Technique: Your club works with local elementary schoolers, why did you feel they are an important demographic to help out? Widjaja: It’s the age group where they’ve developed a basis of understanding for the concepts we teach, but have not yet lost that inquisitive drive that’s so characteristic of young children. Our mentors can tap into this curiousity to help students see that anyone can and should pursue STEM fields because it’s fun and exciting! Technique: What’s are some typical activities you do with them? Widjaja: We take one step beyond the usual tutoring sessions by integrating hands-on activities to not only help the students learn, but truly retain the material by getting their hands dirty. For instance, we’ve done DNA extraction from strawberries to help them understand that DNA is universal to all living beings, and that a lot of human DNA is actually identical to strawberry DNA. In the future, we hope to correlate our activities more closely with what they’re actually learning in the classroom. I can’t go without mentioning that all of these activities are headed by SBD’s hard-working and passionate vice president, Kayla Look Loy! Technique: What was the most challenging aspect of founding your own club? Widjaja: I’d have to say it was (and still is) maintaining a constant line of communication. From officer meetings to advisor meetings, then to off-campus and on-campus partnership meetings, plain old general meetings, emails and phone calls left and right, it’s critical to make sure everyone is on the same page. It seems simple, but the instant someone drops the ball, this fragile network we’ve worked so hard to establish is suddenly in jeopardy. Technique: What is the most rewarding part? Widjaja: It’d have to be that wide-eyed look and ear-to-ear grin you see when the kids get lost in their own excitement. Technique: What’s the biggest lesson you’ve learned from founding your own club? Widjaja: Have patience and learn to balance. We started with a ton of really exciting ideas, all of which we wanted to begin immediately. However, our advisor was always there to ensure we didn’t stretch ourselves thin. We needed to stay aware of what activities we could sustainably pursue, and then recognize that it can take time for the ball to get rolling. Technique: Are you involved in any other ways around campus? I’m involved in Global Jackets, Stamps Health Service Ambassadors and undergraduate research on sphingolipids (when the mass spectrometer works). Technique: What’s your favorite Tech memory so far? Widjaja: Too many! Off the top of my head, I remember when my two friends and I were going to listen to the Atlanta Symphony Orchestra through our Woodruff Arts Center pass. We were super late, so we ended up running like crazy hoodlums through the city, laughing the whole way over. The orchestra performed the “William Tell Overture” by Rossini (the Lone Ranger theme song), and we joked that it was our theme song.